Here is my second arduino project. 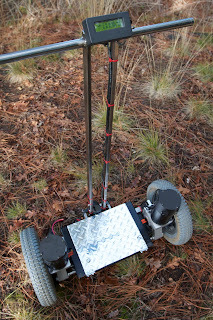 A 2 wheel self balancing Segway using wheel chair motors. I tried to "add a comment", didn't seem to work. I didn't look at the Kerry Wong stuff, but I had read the Elektor magazine articles on their Wheelie a couple of summers ago, and I think they had a follow up article also with some improvements. Nice to see that you were able to find something that could be easily adapted and not have to come up with all the mechanical stuff from scratch.